Empirical evidence indicates that for two reef fish groups, chaetodontids and pomacanthids, live coral cover and latitude determine the local abundance and species richness patterns. Most studies have considered the influence of either live coral cover or latitude in isolation, and the interactive effects that are likely to influence the geographical distribution in species richness and diversity has not been explored. 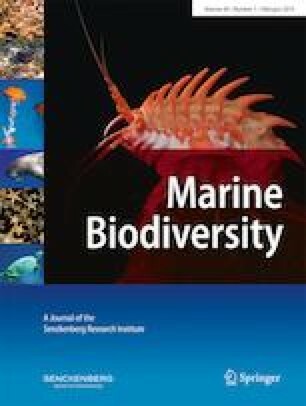 In this study we explored the relationship between (1) species richness and latitude, and (2) species richness and benthic variables, (3) species diversity and latitude and (4) species diversity and benthic variables for butterflyfish (Chaetodontidae) and angelfish (Pomacanthidae) at 75 sites across 51 islands in the Andaman and Nicobar (A & N) archipelago. A total of 30 species of chaetodontids belonging to four genera and 13 species of pomacanthids belonging to nine genera were recorded. We found that live coral cover and latitude were the best predictors for explaining variation in the distribution of these fish communities across the A & N archipelago. This is probably because of the high dependence of these two fish groups on live coral cover and Nicobar’s geographical proximity to the Coral Triangle, which is considered to be the center of origin of coral reefs and supports high biodiversity. Our results show that despite the high dependence of chaetodontids and pomacanthids on live coral cover, reduction of live coral cover due to a series of disturbance events had limited influence on species richness of these two fish groups, indicating that broad geographical trends are important in explaining variation in species richness for chaetodontid and pomacanthid fish groups. The online version of this article ( https://doi.org/10.1007/s12526-017-0790-4) contains supplementary material, which is available to authorized users. The study was conducted with funding from the Research Fellowship Program, Wildlife Conservation Society and Department of Science and Technology, Government of India (DST/INSPIRE/04/2014/001534). We thank the Department of Environment and Forests, Port Blair for granting us permits to carry out this work. The Divisional Forest Officer, Mr. B.P. Yadav, Dr. Ravichndran provided us field assistants and a boat for reef surveys. We thank M. Gangal, R. Arthur, T. Alcoverro, N. Kelkar for the support and advice. The Andaman and Nicobar Island’s Environmental Team (ANET) and Nature Conservation Foundation (NCF) helped with SCUBA equipment and field logistics. Saw John, Saw Berny, Saw Alexander, Saw Sawda, Tanvi Vaidyanathan and Sahir Advani assisted in field surveys. The Department of Environment and Forests, a branch of the Andaman and Nicobar Administration issued permits to carry out this study. The protocol set by the Ministry of Environment, Forests and Climate change was followed and no collection of coral or any other biological specimens, breakage or damage to coral reefs was done during the study. High-resolution photographs were used to study benthic characteristics of the reef.